What you do determines what you need inside your vehicle. All packages can be customized further with plastic bins, lockable cabinets and shelf dividers to ensure all your tools and material are safe, secure and accessible. 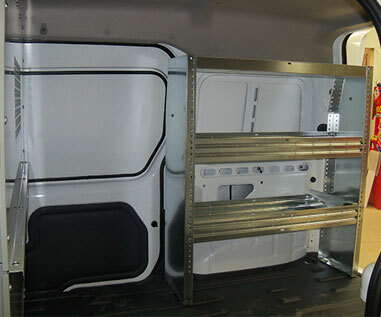 Transit Connect outfitted with a 39-inch shelving unit. 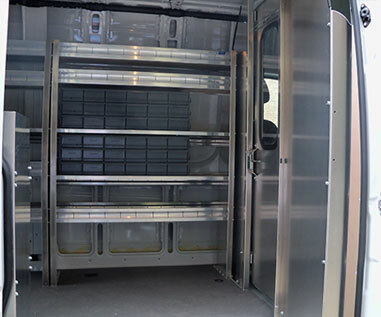 A full-size van outfitted with a 39-inch and a 56-inch shelving unit plus a dual tank holder. 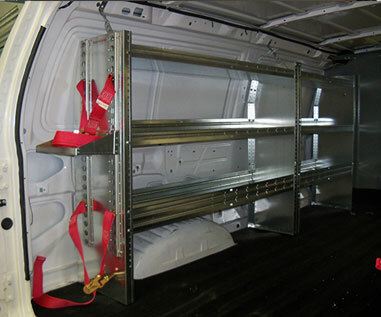 Sprinter outfitted with a 56-inch shelving unit plus two 18-bin cabinets.